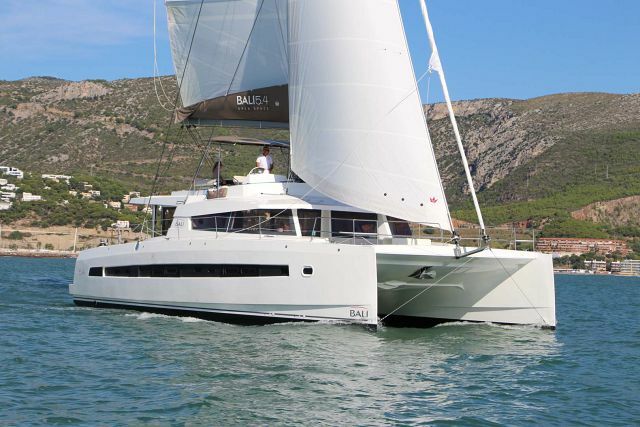 The Bali 4.0 Sailing Catamaran (40 ft.) consists of a single cockpit and salon area that is entirely flush and unencumbered by bulkheads. 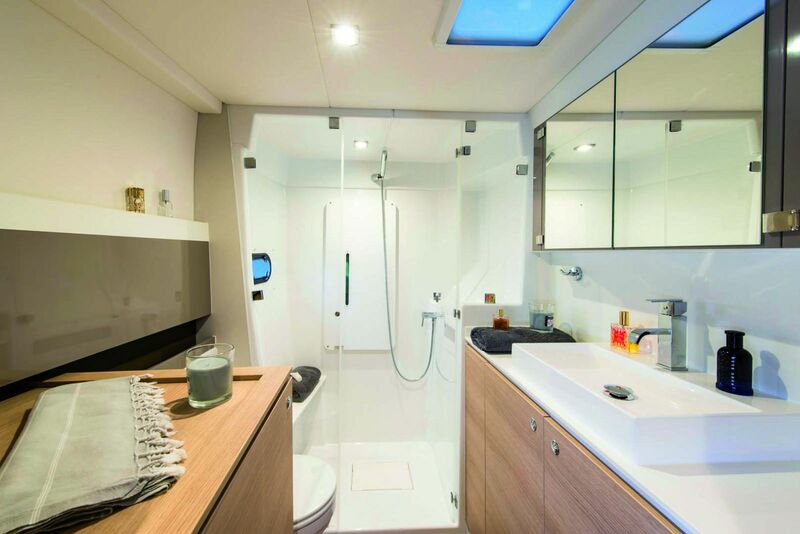 The salon is accessible through an immense folding, electric glass door. 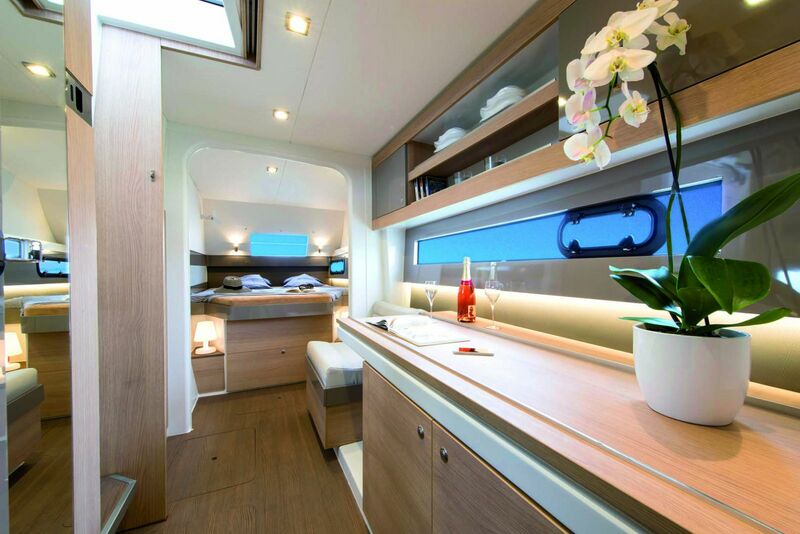 The forward cockpit has a wonderful dining area that offers exceptional water views through windows on both port and starboard sides. 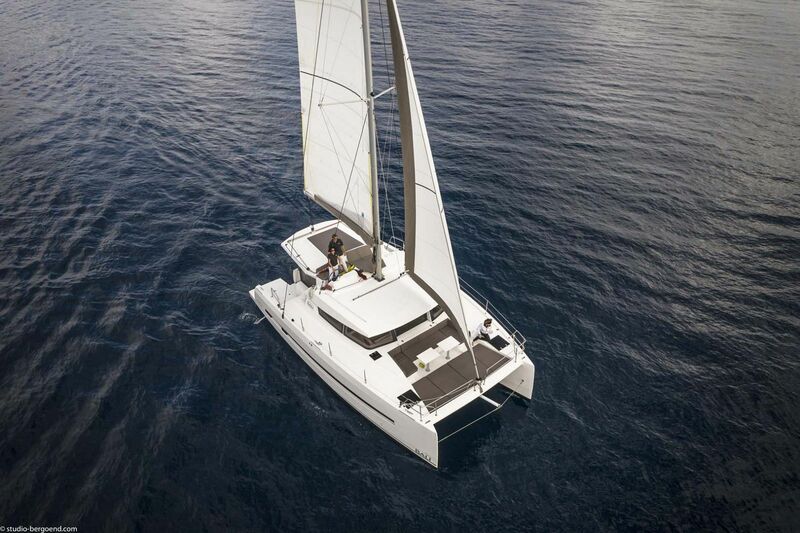 Sunbathing is a pleasure on the Bali 4.0 Cat with a large lounge area in place where there is normally the traditional catamaran trampoline as well as areas on the coach-roof. 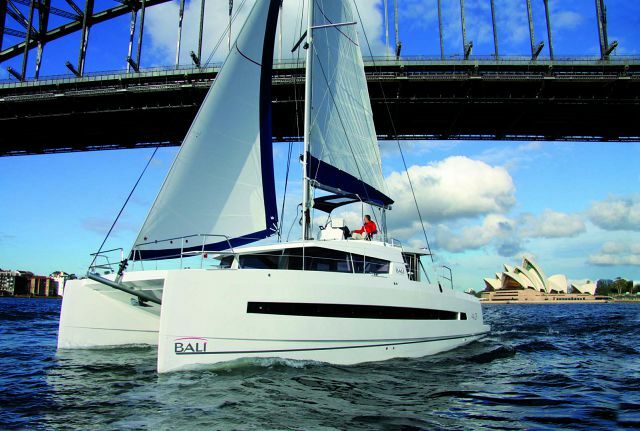 As with its larger siblings, the Bali 4.0 enjoys an extraordinary amout of natural light. The large retractable windows bring an unequalled freshness into the salon as well as giving guests a panoramic view. 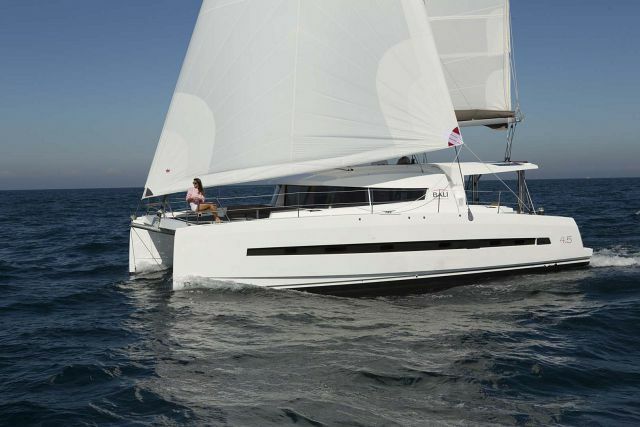 The many hatches in the hulls ensure exceptional natural ventilation. 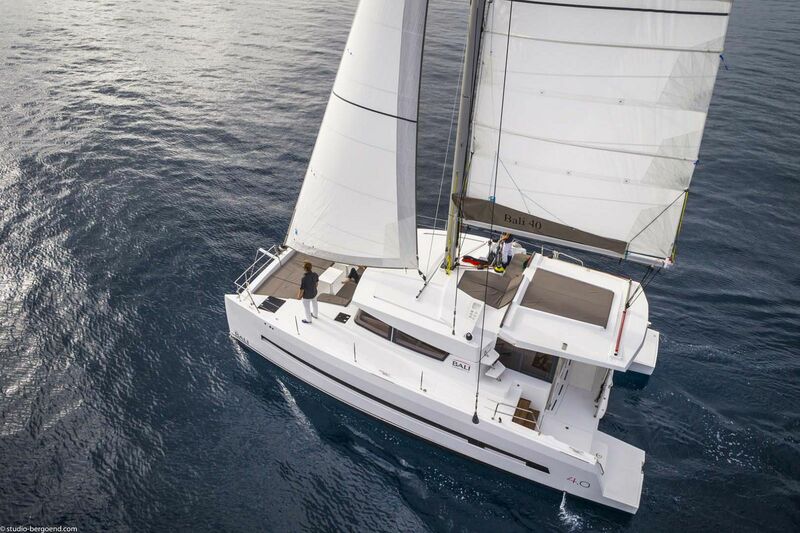 The Bali 4.0 Cat's technical equipment will satisfy the most exacting sailors, and then for the most exacting cook, forward is the latest generation fitted galley allowing you to cook with a sea view. 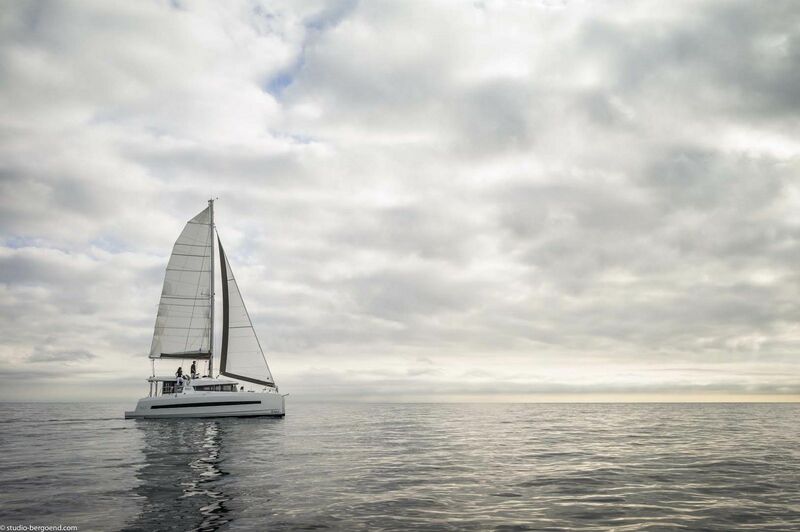 With tanks for up to 200+ gallons of water and 100+ gallons of diesel, a huge fridge and deep freezer, an outsized battery bank, all controlled using a multiplexing touch screen with integrated tutorial, the latest generation fitted galley and its light displacement the Bali 4.0 will take you further than you ever dreamed possible. Fuel Tank Capacity: 103 Gal.